Sugar, butter and flour for everyone! 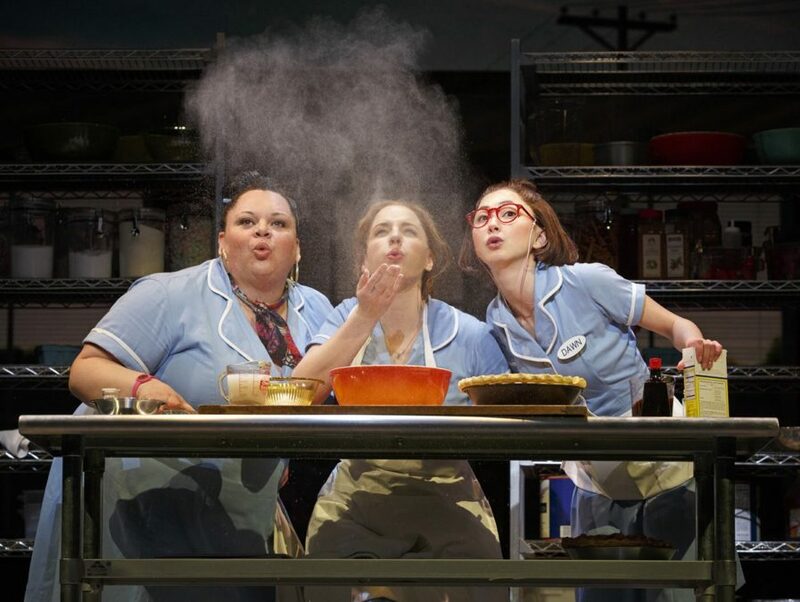 The new Broadway musical Waitress, directed by Tony winner Diane Paulus and featuring a score by Grammy nominee Sara Bareilles, will launch a national tour next year. The tour will kick off at Cleveland’s Playhouse Square on October 17, 2017. Casting and further engagements will be announced at a later date. The show made history as the first Broadway musical to feature an all-female creative team; in addition to Bareilles and Paulus, on board are book writer Jessie Nelson and choreographer Lorin Latarro. Based on the 2007 film by the late Adrienne Shelly, Waitress follows Jenna, a small town waitress stuck in a loveless marriage. As a nearby baking contest approaches (and a new doctor comes to town), she’s torn between her commitments and—thanks to her pie-making expertise—a chance at freedom. The Broadway production opened officially at the Brooks Atkinson Theatre on April 24. The current cast features Tony winner Jessie Mueller as Jenna, Drew Gehling as Dr. Pomatter, Kimiko Glenn as Dawn, Keala Settle as Becky, Nick Cordero as Earl, Christopher Fitzgerald as Ogie, Dakin Matthews as Joe and Eric Anderson as Carl.